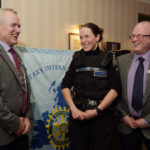 Twenty Rotarians and guests sat down to enjoy a novel Burns Supper at their weekly business lunch meeting last week at the Alexandra Hotel in Fort William. 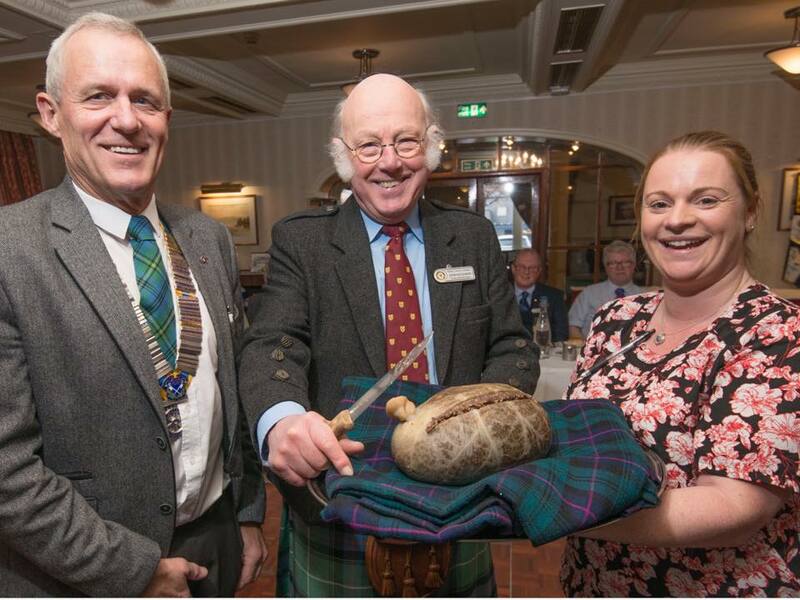 Following a welcoming medley from the club’s in-house musicians, the Hotel’s Angela Nolan carried the haggis aloft into the dining room where past-president John Hutchison gave a stirring Address to the Haggis. 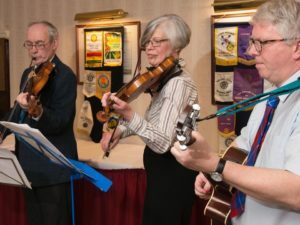 The club’s in-house musicians welcome guests to the Burns lunch. The traditional Selkirk Grace was delivered by past president John Gooddall after which everyone enjoyed a hearty meal of haggis, neeps and tatties’. 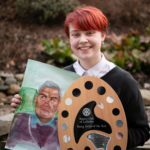 Ian Nicol then entertained everyone with a humorous rendition of What happened to Kate, written in the style of Burns’ Tam O’Shanter. After the lunch, Mr Hutchison led singing of Burns’ Of a the airts, Killiecrankie O and finally Auld Lang Syne. The musicians then bade farewell with a foot tapping medley of Scottish reels. 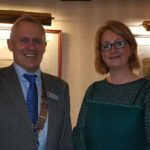 Club President Iain Johnston thanked everyone, including the hotel staff, for their contribution to a very successful lunch event.